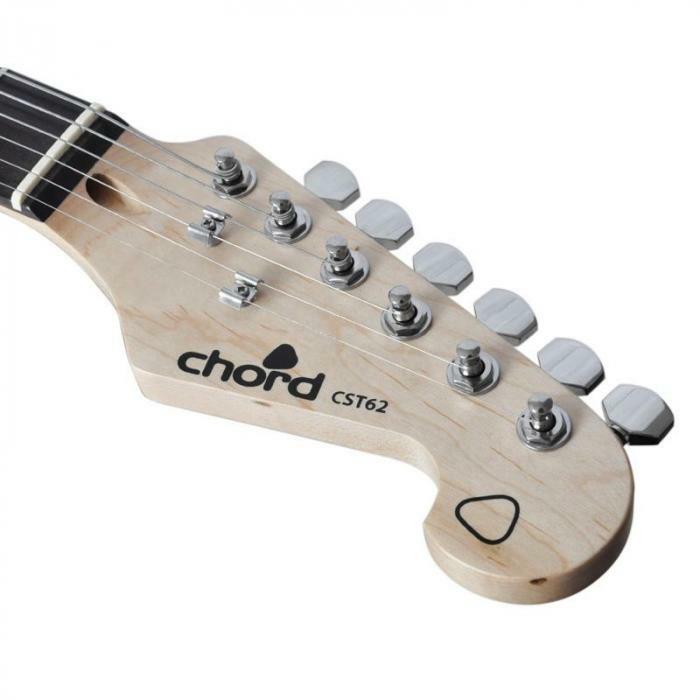 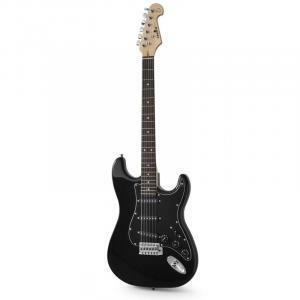 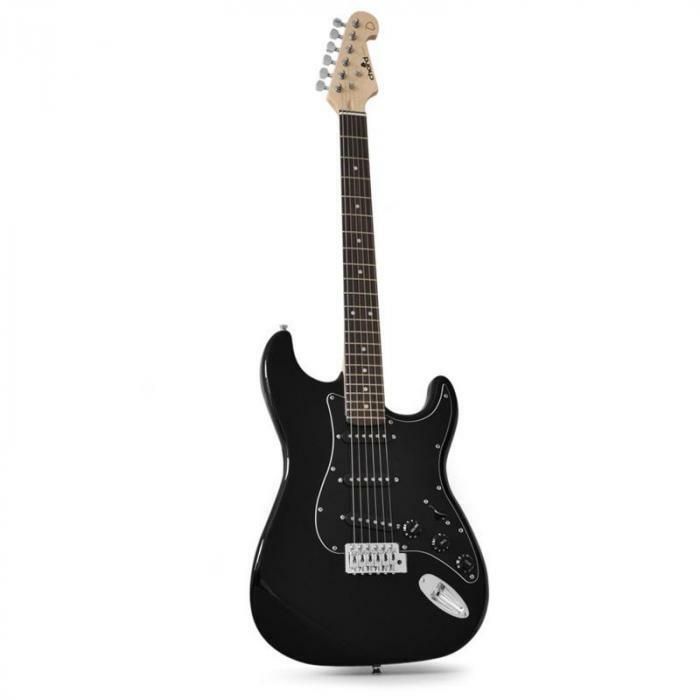 The Chord CAL63 is a loud and modern concert guitar with a classic design and modern functions. The electric guitar boats a timeless black body design, which fits any genre, performance, or stage design. 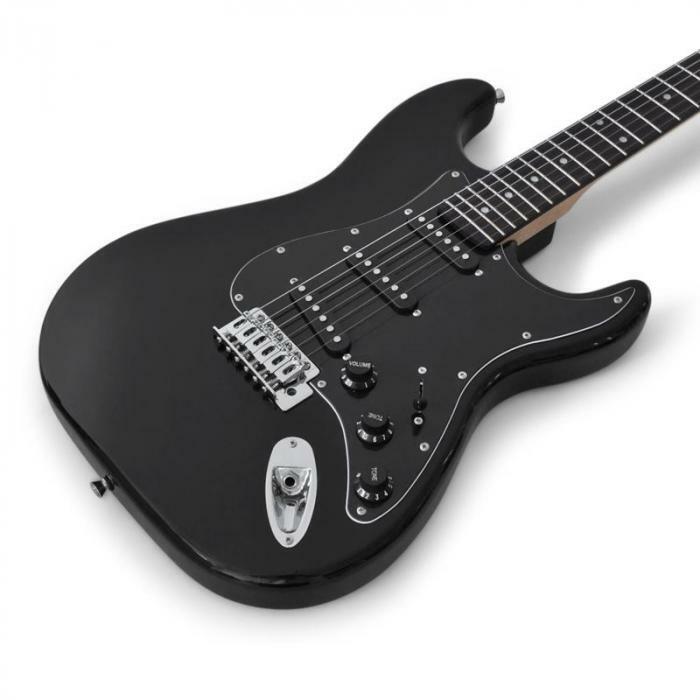 The guitar is assembled from maple and rose wood (body, neck and fingerboard), and chrome lining. 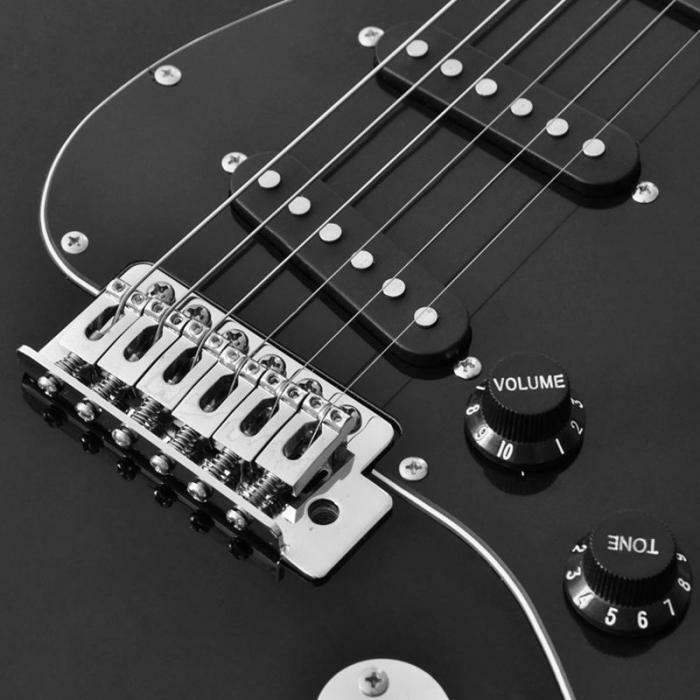 With a 2-band EQ and volume control, you're given plenty of options for sound control.